Everton Park is often overlooked as it is surrounded by a couple of other bigger neighbourhoods such as Tanjong Pagar and Duxton Road. The whole vicinity in general, is well-known for a great cafe culture and some of the best bars in Singapore. It comes as no surprise that Everton Park will also be loaded with many great F&B establishments. Dubbed as a ‘hipster’ neighbourhood, Everton Park houses some lesser known cafes and restaurants that really deserves more recognition. From great coffee to decadent desserts, if you have not ventured to Everton Park before, you might want to make a note to visit after reading about all the great food and drinks you can find here. 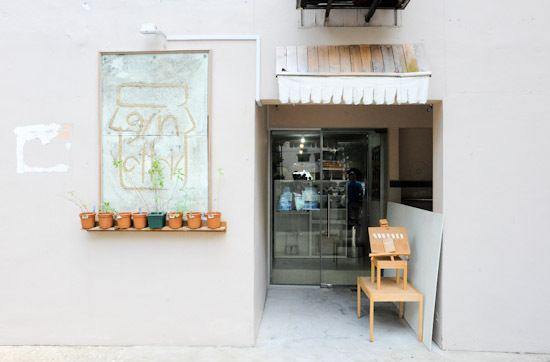 The Provision Shop at the charming Everton Park neighbourhood is a casual eatery that is opened bt Cocotte’s head chef, with hotelier Loh Lik Peng taking a consulting role in the project. We love the vibe of the cafe, and we love that it serves simple yet delicious meals at affordable prices.